The purpose of organization development is to provide a framework for an ongoing, systematic process to implementing effective organizational change. However, all too often goal setting, strategic alignment and organizational development lead to nothing more than really, REALLY large and incredibly dull documents that do little more than gather dust. If any of the brilliant ideas they contain get applied at all, it is sometimes a haphazard effort or accidental result. This field of applied behavioral science is focused on understanding and managing organizational change. The interdisciplinary nature of organization change draws on sociology, psychology, and theories of motivation, learning, and personality. Therefore, without a dynamic component to a plan, different parts of the organization may work very hard on their disparate, but conflicting goals, resulting in the system stumbling and eventually coming to a screeching halt. In contrast, successful alignment results in focus, shared vision, and effective use of personnel and financial resources. All the pieces of the organization work together, and generate synergy in support of each other’s efforts. 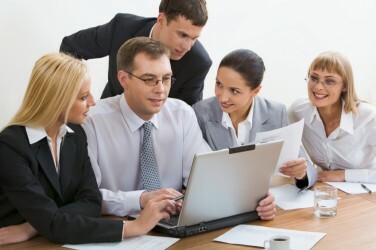 Information is shared openly throughout the work groups and multifunctional teams. All systems, including communication, incentive. marketing and management are then synchronized to move the organization forward toward its ultimate vision. The Leadership Architect Group’s dynamic approach to strategic alignment ensures the structure and guidance in order to create “Organic Strategies”, which are living, breathing documents that are adaptive and sustainable in a changing marketplace. Organization development happens naturally and with purpose to solidify the company mission and goals. A well-aligned group will encompass a number of systems to direct an organization to transform its leaders, personnel and reputation from ordinary to extraordinary. From Team Development to Leadership Development to Strategy Alignment, the practice or business builds on its strengths in order to capitalize on the true opportunities in the future. Courageous Leaders are willing to risk the journey!